The lucky buggers at Timbre+ have got our Dave coming to their hawker. Yes we are gutted. 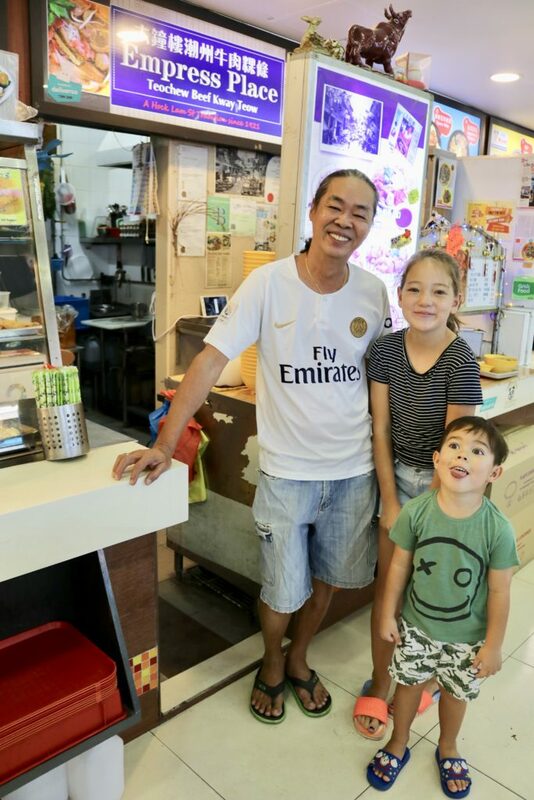 This is the end of an era for us and Siglap, but a gain for those over West-side. For that we despise you. You have a 50, 17, and 5 year old nearly in tears Dave. We’ll massively the food, and we’ll massively miss you Dave and wifey Bing. 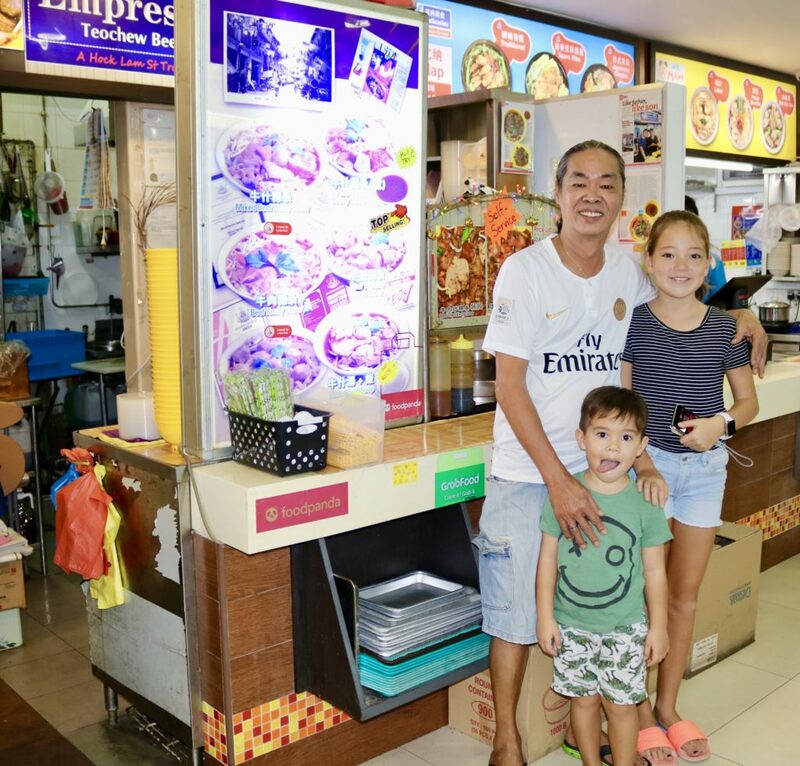 But for Dave here is a little trip back in time, and reasons for those now as his local to enjoy – Empress Place the end of an era for Siglap, the start for Timbre+. So please my friends over there. Dave is on his way. Your gain is our loss. Go and see him, and enjoy his wonderful food. We think it is SHIOK and the nest Beef Kway Teow ever. 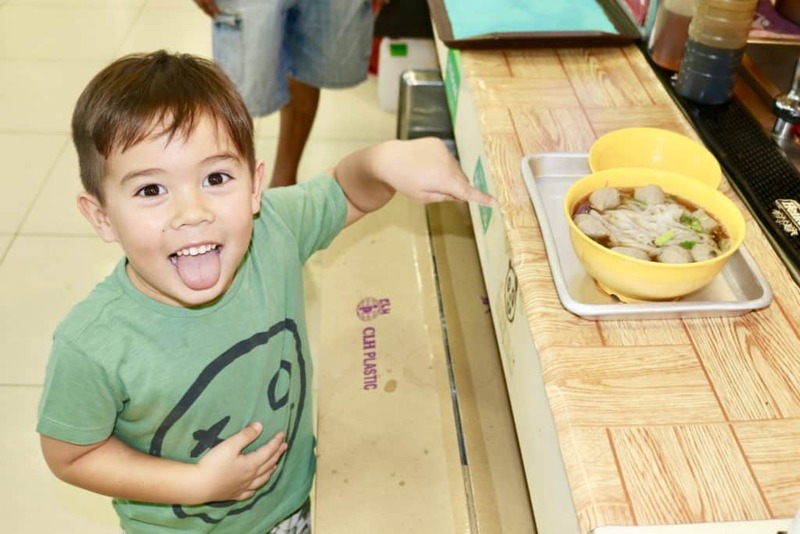 My 5 year old has literally grown up on it, since we moved to Siglap nearly 6 years ago and made great friends with our Dave. Empress Place the end of an era for Siglap, the start for Timbre+. Timbre+, Unit 27B, 73A Ayer Rajah Crescent. You lucky buggers!!! Empress Place, LTN Foodcourt Siglap & Beef Kway Teow CLICK TO THE LEFT. This is from 6 or so years ago, is my first blog re Dave Bing. These even got a Death Row Meal rating all those years back. I just showed Dave this picture and he pissed himself. Empress Place @ LTN Siglap CLICK TO THE LEFT. This was another blog about Dave’s food – including YouTube of Bing. Top 10 restaurants in Siglap CLICK TO THE LEFT. This was the blog that got Dave in to EXMAG. Jude is licking his lips already. He cant wait to get stuck in to it BIG time. Hurry up Jude this is potentially one of the last you can order from Uncle Dave. OK one more picture, and then sorry Dave you just have to get in the kitchen and cook Judes Beef Kway Teow – he is starving…. So as I said. You are lucky West-siders with our Dave moving to your neck of the Red Dot. We lose out, you gain The Master. As I once said there should be a Michelin Star floating around for Empress Place, not just for Laksa. It’s Die Die Must Try. It’s Shiok. It’s Death Row Cuisine. Empress Place the end of an era for Siglap, the start for Timbre+. We wish you well Dave, go make a killing at Timbre+ buddy. We’ll see you there one day soon for a revival and a couple of cold ones. West-siders, go see Dave, say hello from us and – ENJOY!!! No Replies to "Empress Place the end of an era for Siglap, the start for Timbre+"